When Jordan Aversman met Jen De Marco in 2007, she had just finished a degree in international business from UC after a year abroad in Linz, Austria, where she’d fallen hard for traditionally fermented sauerkraut. The next year the two launched Fab Ferments, working from an incubator kitchen in Madison, Indiana. 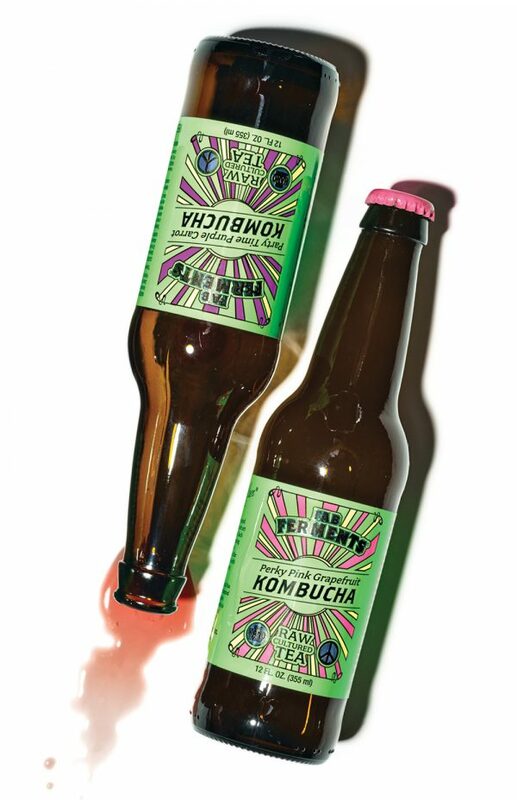 Recently they relocated to a larger facility in Lockland, and while kraut and kimchi remain a big part of their business, the duo have been dedicated to kombucha—the slightly astringent, naturally effervescent fermented tea—from the get-go. Production began with SCOBYs (symbiotic culture of bacteria and yeast) from an Oxford friend, combined with a sample (stashed in a suitcase) from fermentation fanatic Larry Wisch of Berkeley, California’s Three Stone Hearth Cooperative, as well as a commercial culture. The fruit of their labor can be found at Park + Vine and Whole Foods, where you can sample the brew on tap. Or pick up a bottle at Findlay’s DIRT market. Next articleTraverse City’s Kayak, Bike & Brew is Like a Laid-Back Triathlon…With Beer!